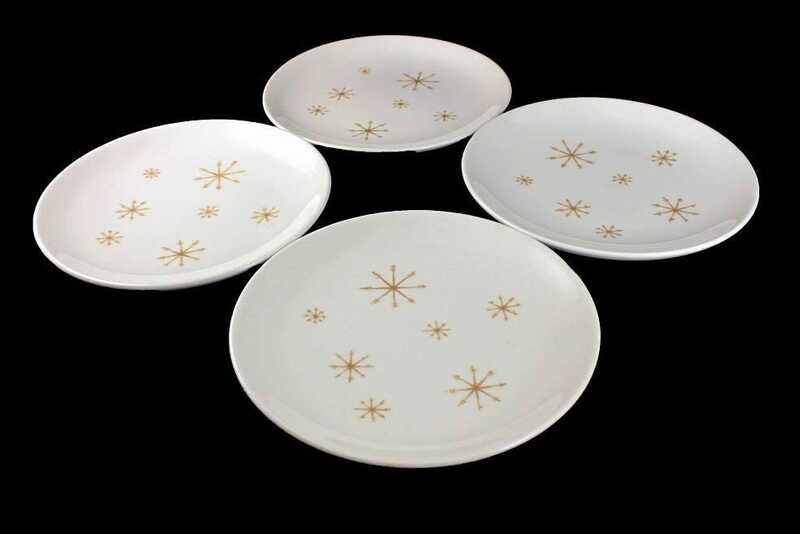 A lovely set of 4 bread and butter plates by Royal China (USA) in the Crystal pattern. 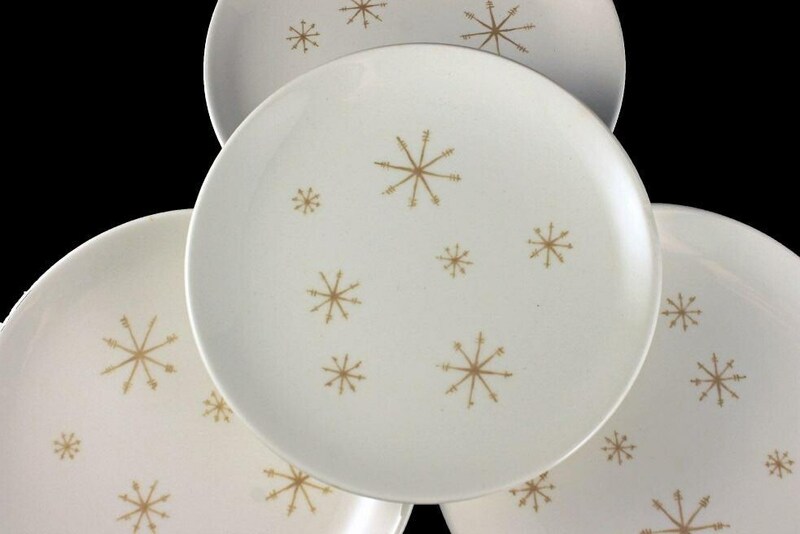 The pattern consists of gold stars on a white background. Some people confuse this with the Star Glow Pattern. 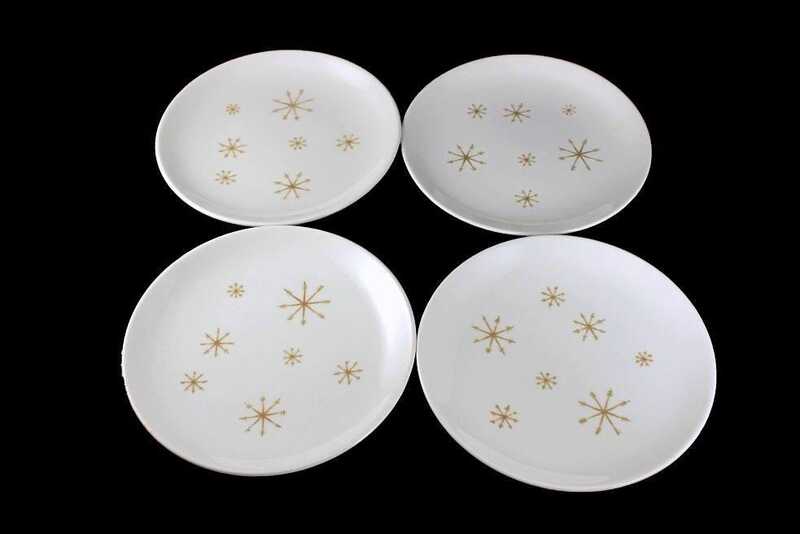 Crystal is from the 1950s and when Royal decided to redesign the shape of the dishes in the mid-1960s they also gave it a new pattern name -- Star Glow. These would be great replacement pieces or small serving plates. 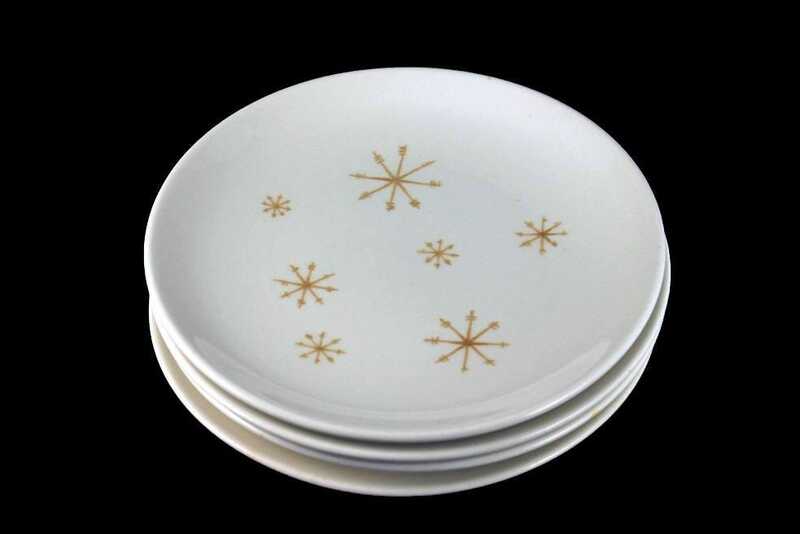 They would be great for the Holiday Season with the crystal pattern that looks like gold snowflakes. 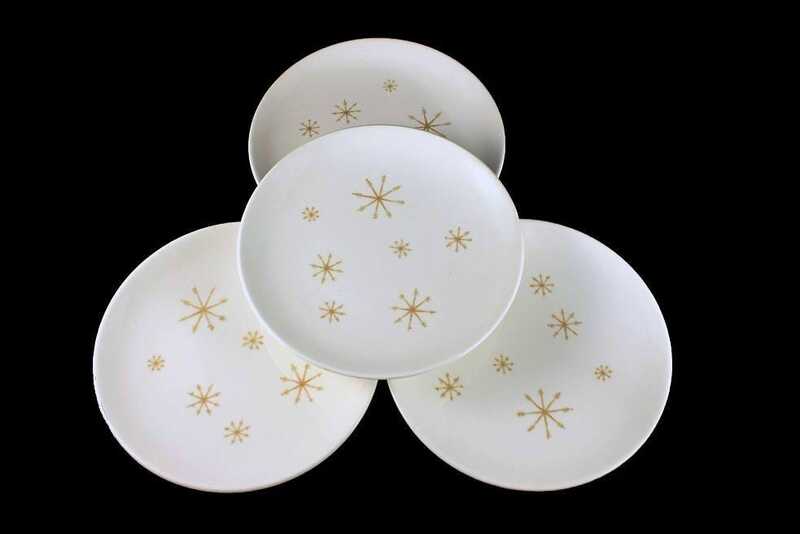 These sets of plates are in very good condition. There are no chips, cracks, or crazing.